Dragon 161 – I guess I still have the cross-hatching bug. Oberon morphed a fair amount over the course of the drawing today. 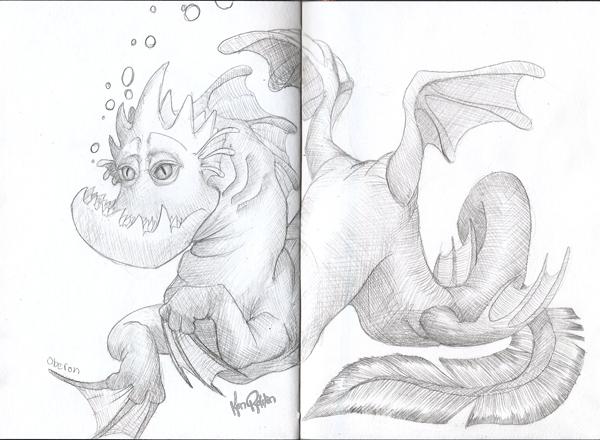 He started out as more like a dragon I’ve drawn 160 times already…so I knew I had to change him up. I’m so glad I did. I love the rows and rows of teeth, the alligator style eyes, and the fin-like wings. I may have to keep exploring the sea serpent style of dragon.